Local television stations broadcast their shows Over-The-Air (OTA) so all you need to pick up the CBN News Channel is a TV and an antenna. Attach your digital antenna to the ANT/IN connector on the back of your TV with coaxial cable. Go to the Tuner Mode option on the setup menu and select "Antenna" or "Air". See your TV manual for detailed instructions. Next select Auto Channel Scan, Scan Channels or closest option to search for channels that are available in your area. Introducing the CBN News Channel—now you can get the news you care about directly to your local station! We’ve made it as easy as possible. 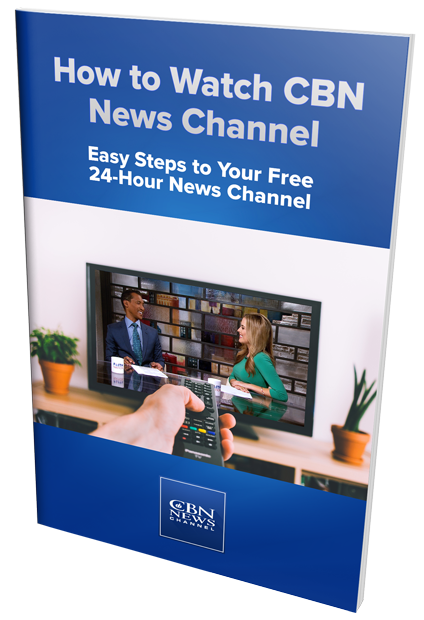 Simply request your free guide on how to set up your television to watch the CBN News Channel. In as little as 3 easy steps you’ll be setup and ready to watch 24-hour a day news from a perspective you can trust.